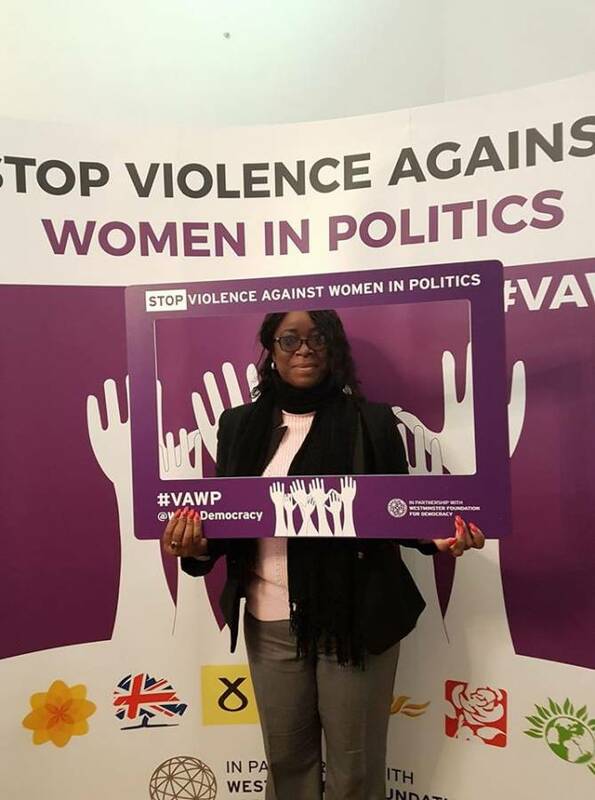 Emmalin Pierre, who was re-elected member of parliament for the constituency of St Andrew South East in the 13 March General Election, was among legislators and activists from 20 countries who participated in the 19-20 March Stop Violence Against Women in Politics conference held in London. More than 50 speakers, including political party leaders in the United Kingdom, ministers and experts from UN Women, Amnesty International, the National Democratic Institute and CARE International, use the event to discuss new measures to combat violence and intimidation against politically-active women. The main objective was to identify practical means to address violence against women in politics. According to the website of Westminster Foundation for Democracy (WFD), the organisers of the conference, more women than ever before are participating in politics worldwide. Higher numbers of women are being elected to public office and, in many countries, more women are attending political events, engaging with government bodies and registering as voters. However, as women’s political activity has grown, so has the frequency and degree of violent responses to their presence in politics. Globally, politically-active women — voters, candidates, local councillors, members of parliament, bloggers and activists — regularly find themselves on the receiving end of acts or threats of violence. “The conference will produce and publish a set of recommendations and actions to be taken by relevant bodies to address violence against women in politics and will agree a set of steps to advance these,” said the about section of the conference. The role of political parties in tackling violence against politically active women. WFD is a public body sponsored by the UK Government responsible for supporting the establishment of effective multi-party democracy in developing countries. WFD’s work is based on values — that all people are equal, and that the protection of their human and democratic rights is essential for fair, safe and prosperous societies.